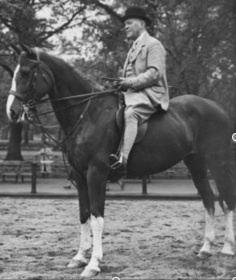 Earlier on the website I have written about Laurance Holman and his horses particularly Mariana who he particularly enjoyed riding during the Second World War in London, particularly at Hyde Park and Regents Park. I had come across his diaries in Camden Archives in Holborn to try and find details of people owning cats and dogs during the war. Although I had read several of those accounts including materials in the Imperial War Museum archive and also Bishopsgate Institute I had never previously found a diary documenting the relationship with a horse. In the Spring of 2016 I spoke about this relationship at a very interesting conference in Kassel in Germany organised by Andre Krebber and Mieke Roscher. It focussed on animal biography with a range of presentations. A new book, Animal Biography, is now out on this broad topic . As Andre and Mieke argue ‘ biographical writing surfaces both as an approach to capture the individuality of animals as well as make animals visible as individuals.’ Thus the articles refer to animals rather than only human stances. It includes full accounts, for example, of Topsy the elephant killed in America; of Hachiko, the well known Japanese dog but discussed in very imaginative ways ; of German cats in feline autozoography in the early nineteenth century. In my article I look both at a partial account of the horse Mariana but also at a partial account of the man’s life. I suggest that Holman’s emotional response to Mariana’s death is an important influence on his life, particularly as discussed in his diaries.I suggest that if we are interested in acknowledging the identity of individual animals, even those who were living during the Second World War, it also means recognising the traces and relationships that did exist between an animal – and a human. Animal Biography is published by Palgrave Macmillan but published in Switzerland . The hardback currently costs £90. It seems as if so many publishers including Wiley, Routledge and Palgrave are all seeking ridiculous sums to ensure that the books are not generally seen or read. If you happen to have a connection with a few libraries – obviously public libraries no longer hardly stock any books – it would be good to read this new and interesting collection.